Once the fodder of Hollywood spy movies and pulp fiction novels, the NFA-compliant suppressor is becoming ever more common in its use and adoption with numbers at an all-time high. No matter whether you call it a silencer, a suppressor, or just a can, the mechanism defined by the National Firearms Act of 1934 as any device for silencing, muffling, or diminishing the report of a portable firearm, is shedding decades of misinformation and rapidly becoming more and more mainstream. According to figures released by the Bureau of Alcohol, Tobacco, Firearms and Explosives earlier this year, there were, as of March 2014, no less than 571,750 legal suppressors listed in the National Firearms Registration and Transfer Record (NFRTR). As benchmark in the increase in the number of yearly transfers done on NFA items, such as suppressors, in 1984 the ATF collected just $666,000 in transfer and making taxes on these items. Three decades later, with no increase in the tax rate, the ATF collected almost $18.2 million in transfers, according to its 2013 figures, an increase of over 2,700 percent. “Suppressors are in much the same position as ARs were ten years ago,” Knox Williams, president and executive director of the non-profit American Suppressor Association, told Guns.com. Patented in 1909, suppressors have never been illegal under federal law, but since 1934 are required to be registered with Washington. However, states have the authority to pass local laws governing otherwise legal ownership and use of NFA-compliant devices. As such, suppressors are legal in 39 states. The five states with the highest number of devices are Texas, (86,579), Georgia (43,958), Florida (39,613), Ohio (26,566) and Indiana (22,223) and account for about 40 percent of the total. Barring the 11 states that do not allow individuals, corporations, and trusts to own suppressors, the five states with the lowest numbers of ownership are population-low but sportsmen-rich West Virginia (3,357), Alaska (2,919), North Dakota (2,834), Wyoming (2,040) and Maine (1,728). This increase in ownership has seen the production of suppressors mushroom as well in an attempt by the industry to keep up. The ATF listed some 3,020 manufacturers with Special Occupation Tax FFLs needed to produce Title II weapons, such as suppressors, across the nation in 2013, with at least one in every state. When compared to the U.S. population, that is approximately one manufacturer per 100,000 residents. While many traditional firearms companies such as Winchester, Smith and Wesson and Colt have legacies that stretch back to the 19th Century, today’s household names in the supperssor market, makers such as AWC, Remington-owned AAC, and SilencerCo, have all sprouted up in the past three decades. A big point in the increase in popularity of these devices comes from a removal of the stigma associated with their use. The National Shooting Sports Foundation, the trade group for the firearms industry, has long held that legal suppressors can help prevent hearing loss, help make shooting ranges better neighbors, make great tools for hunting, and do not increase crime in states that allow their possession. 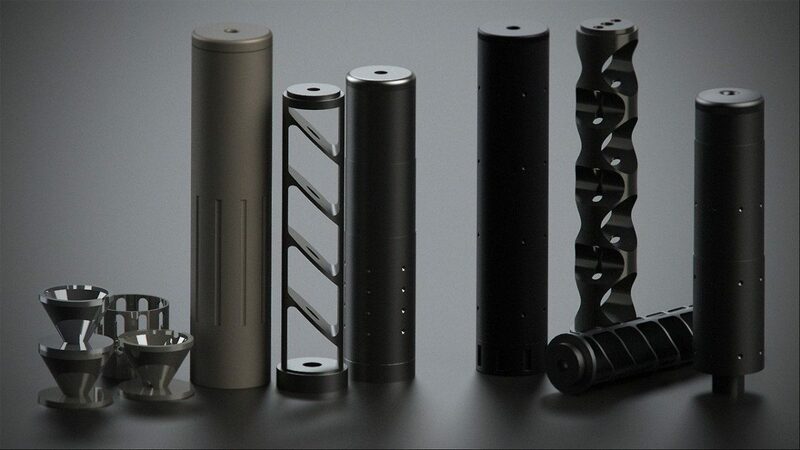 In recent years, pro-suppressor legislation has gained traction nationwide. So far in 2014, both Louisiana and Georgia have seen lawmakers responding to increased pressure from sportsmen and hobbyists to expand protections and use for suppressors. This came while Alabama saw regulatory changes that paved the way for hunters to use their suppressors for the first time in generations. In addition to this, a number of states are streamlining the Chief Law Enforcement Officer signature requirement on suppressor transfers to individuals by requiring these law enforcement officers to process applications through a new breed of “shall sign” or “shall certify” legislation. This year alone, lawmakers in Utah, Kentucky, Kansas and Arizona passed legislation that mandates CLEOs to approve paperwork within a limited period of time, unless the applicant is found to be a prohibited person, such as a felon, mental defective, minor or domestic abuser. This removes the possibility for law enforcement chiefs to approve or deny suppressor applications for arbitrary reasons. Lawmakers, in fact, approved so much of shall-sign legislation that when Oklahoma Gov. Mary Fallin vetoed such a bill in May, the state legislature overrode it within just 10 days. Besides industry groups such as ASA and NSSF, gun-rights organizations such as the National Rifle Association have vowed to move forward with a new emphasis on NFA regulation. “Over time, as the market continues to expand, and as grassroots efforts continue to have success, more and more people will become wise to the fact that there is no such thing as an item that completely silences a firearm, and that in 39 states suppressors are legal to own and possess,” Williams said.